I seem to be spending a lot of time writing about in-car tech at the moment. 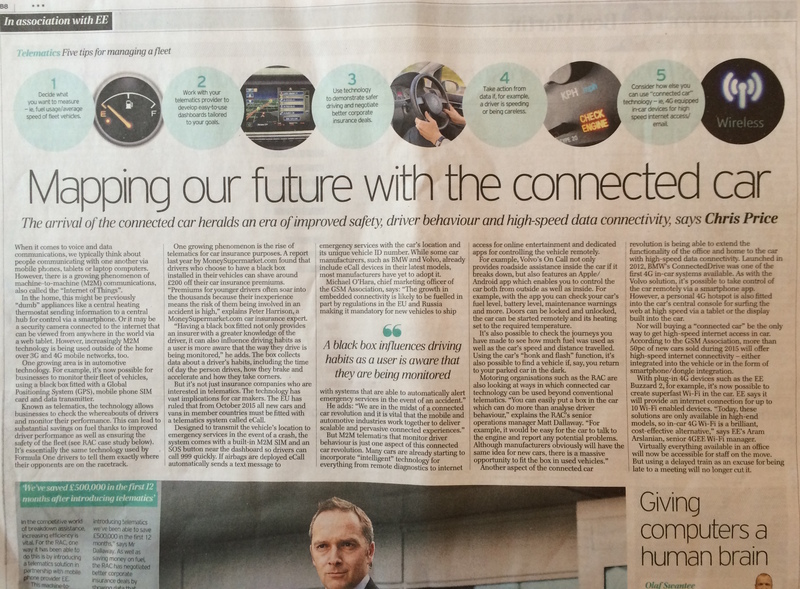 This is a feature I did for The Telegraph on everything from in car black boxes for Telematics to the latest generation of 4G connected cars for safety and infotainment. 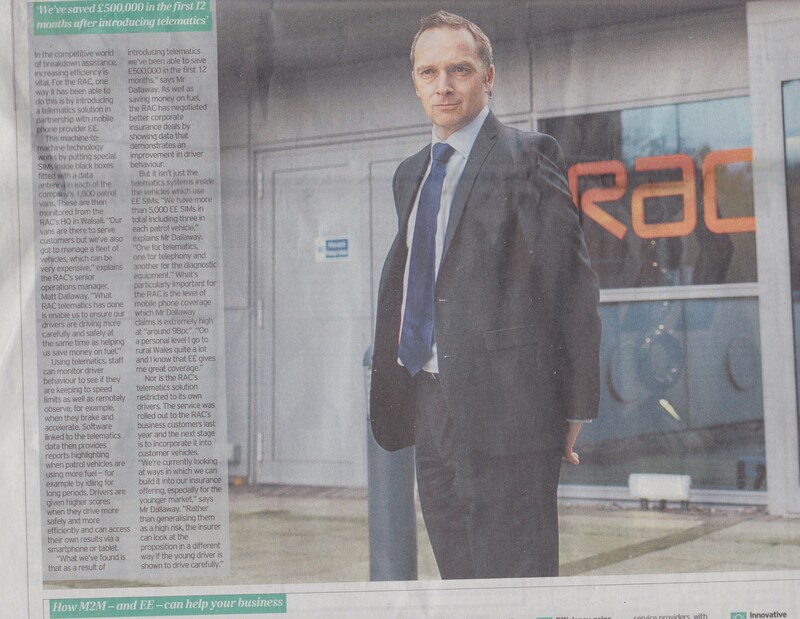 I also interviewed Matt Dallaway from the RAC (see article below) about the company’s use of telematics in conjunction with EE.